Wollongong Wolves have held on for a thrilling 4-3 win over Sydney FC at Lambert Park to maintain their lead at the top of the National Premier Leagues NSW Men’s 1 competition. The visitors raced into an emphatic lead in Leichhardt, going up 3-0 before Sydney FC pulled a goal back late in the first half. Thomas James added a fourth after the break, before goals from Giuseppe Tilio and Jerry Skodatis brought Sydney back within a goal at the final whistle. The visitors looked marginally more menacing in the game’s opening stages, if only because they were getting a few more hopeful shots away than their opponents. The ball dropped to Harry Callahan on the edge of the area, but the Wollongong forward could only lob his volley high and wide. A pass was put over the top on the right for Thomas James charging into the six-yard box, and he dragged the shot outside the far post. Wollongong looked the likelier of the two sides to make the breakthrough in the first half, and sure enough they put themselves ahead just before the twenty minute mark: Takeru Okada found himself on the ball on the left, and lifted a pass into the area for Lachlan Scott to flick past the keeper and into the goal. The lead was two just a few minutes later, with Okada again fizzing a cross in from the wing for Nick Littler to tap home at the back post. A third goal followed soon after; Thomas James opening up on the left to smash a shot across the goalkeeper to make the score 3-0. Sydney FC struggled against a rising tide but pulled a goal back five minutes before the break, with Jordan Swibel taking down a long ball from Harry Van Der Saag before stabbing a shot at goal to give the hosts a lifeline. The second half began with a lengthy stoppage as Liam McGing, Thomas James and Thomas Heward-Belle clashing on the edge of the box to meet a ball bouncing through on goal from the midfield. McGing came off the worst of the three, but was fit to skip back onto the field a few minutes later. Lachlan Scott might’ve added to Wollongong’s tally when he broke forward midway through the half, feeding the ball across to the overlapping Taylor McDonald on the right. A perfect cross found Scott in the middle again, but the striker nudged his header just wide of the upright. Still, Wollongong wouldn’t have to wait long for a fourth; James Stojcevski powered past his markers on the right and drove into the box, squeezing a pass across for Thomas James to sweep home the visitors’ fourth of the night and his seventh for the 2019 campaign giving him a huge lead in the Golden Boot race. Sydney FC proved an organised opponent despite the scoreline, and nabbed a second when Giuseppe Tilio streaked through the box on the right flank before cutting a ball back from the byline, clipping the inside of the far post to make it 4-2. Luke Wilkshire saw red on the sidelines after a difference of opinion with the referee, and was in the stands as Jerry Skodatis scored Sydney’s third to bring the hosts back within a goal of their opponents. They couldn’t quite muster an equaliser, as Wollongong held on to keep their place at the top of the ladder.  Sydney FC’s Jimmy Van Weeren said there were positives to be drawn from the result. “It was a bit tough at halftime because they’ve got the quality to punish a few mistakes, and they punished us. Despite his team being top of the table, Wollongong’s Luke Wilkshire said there’s still room for the Wolves to improve heading into Round 5. “At 3-0 we had the chance to make it four, which we should’ve scored, and we switched off,” he said. “We have that attacking threat, there’s no doubt about it, but we’ve got to stop leaking goals. We’ve got to be more ruthless, but I was disappointed to concede three goals tonight.